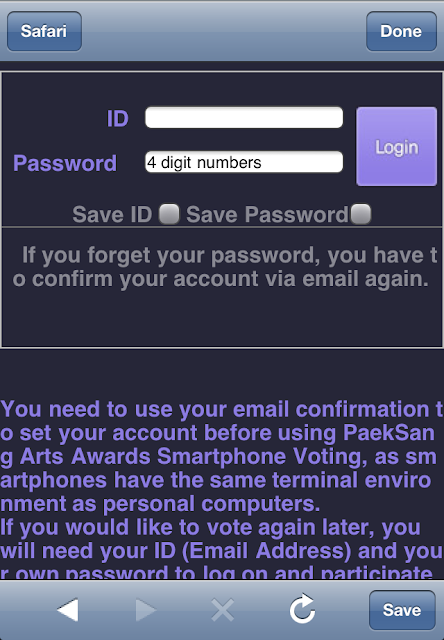 International fans can now vote for Shin Hye! 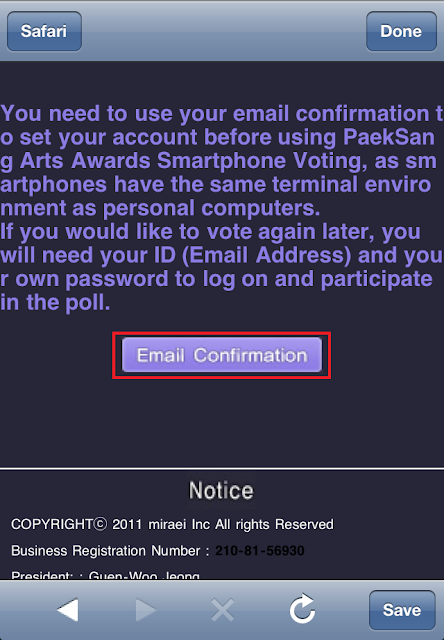 Our princess Shin Hye is nominated for "Popular Actress in Film" at the 2011 PaekSang Arts Awards. 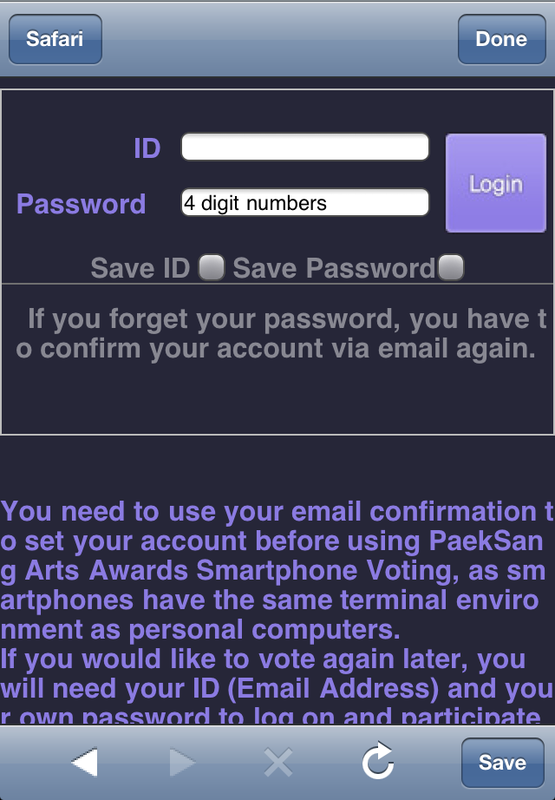 Now, they have created a mobile platform for international fans to vote! All you need is a smartphone (iPhone/Android/Blackberry..etc) and a credit card! Voting ends on May 23 2011. Note: The phone used in this tutorial is an iPhone. For iPhone users, we recommend you use QR Reader. Step #2) You will be directed to the awards voting homepage. 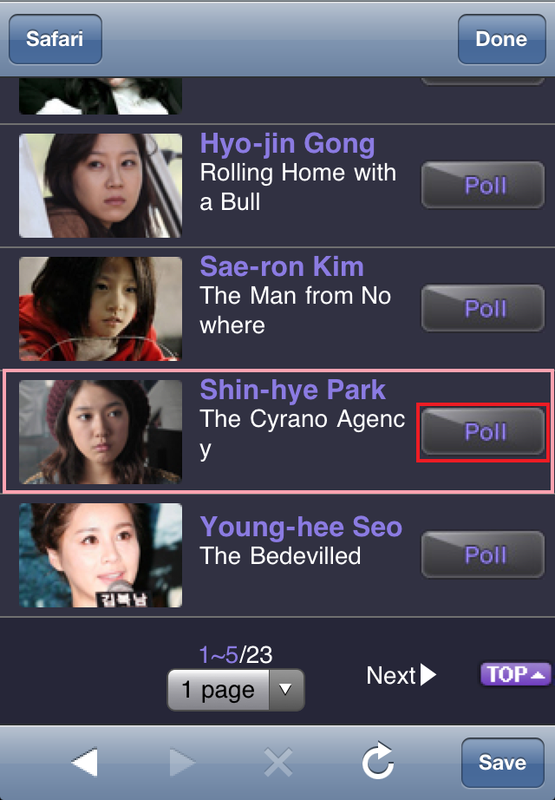 Click "POLL"
Step #3) Click "MOVIE FEMALE"
Step #4) Scroll down, and you'll see "SHIN-HYE, PARK". CLick "POLL" next to her name. 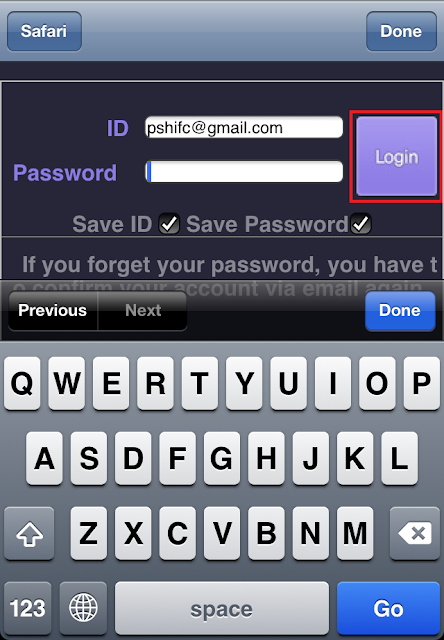 Step #5) You will be directed to the login page. DON'T login. Step #6) Scroll down, click "EMAIL CONFIRMATION"
Step #7) Fill in the fields. Use your Email address as your ID. 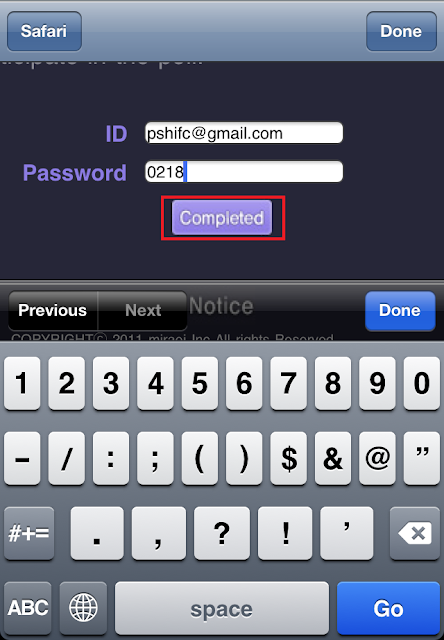 Step #8) You will be redirected to the Login page. Fill in the fields and login. 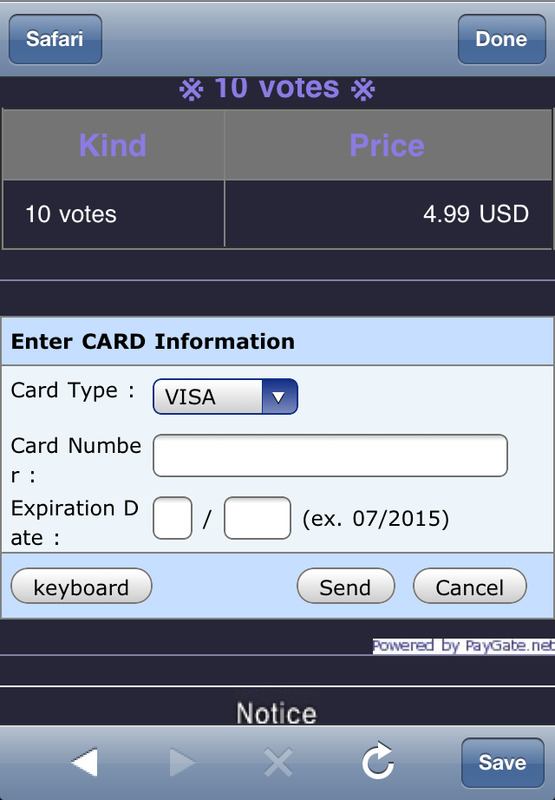 Step #9) You'll need voting credits to vote. Click "CHARGE UP MY VOTES"
Step #12) Now go back to the "MOVIE FEMALE" page and VOTE for Shin Hye! You can vote once per day! Ah! how I wish I can Vote..